element14 Pty Ltd announces the launch of Analog Devices’ New Products Express programme, an innovative initiative that offers engineers in Asia Pacific the latest product offerings from Analog Devices with next-day delivery and no minimum quantity. This latest initiative from element14 (formerly Farnell) will enable electronic design engineers in Australia, China, India and Singapore to purchase the newest components from a wide spectrum of Analog Devices product categories with 24/5 customer service and 24/7 online technical support. The primary aim of the programme is to expedite the delivery of the latest Analog Devices technologies to Asia Pacific in view of the fast-growing electronics manufacturing sector in the region. The New Products Express programme will enable design engineers as well as maintenance and repair professionals to access and incorporate these components into their designs, enhancing end-product quality as well as improving the products’ time to market. Vice President for Asia Sales & Marketing at Analog Devices, Howard Cheng says that the company is committed to bringing the latest technology and high quality products to customers in Asia Pacific. He adds that element14’s established distribution network and support services further complement Analog Devices’ business strategies, delivering their latest products to engineers in the shortest amount of time. According to William Chong, Regional Director of Supplier Marketing, element14, Asia Pacific, the new initiative will help the company supply the latest products from Analog Devices to meet the dynamic requirements of engineers. Additionally, element14’s personalised services and support from technical experts as well as ready access to technical datasheets will equip engineers with the necessary knowledge to optimise product usage. element14 stocks one of the broadest ranges of Analog Devices products in Asia Pacific with over 2000 products available for next day delivery in most cities. The products cover some of the key technology categories including high precision analogue, amplifiers, comparators, sensors and power management for major industries such as motor control, instrumentation, medical and multimedia equipment. Versatile power management solutions that provide superior transient response, optimal stability and current-limit protection by using a constant on-time, pseudo fixed frequency with a programmable current control scheme. 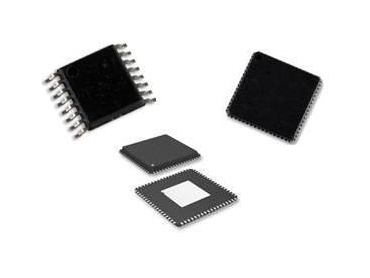 The AD6643 is designed to support multi-antenna systems in telecommunication applications that require high dynamic range performance, low power, and small size. The AD6649 is a mixed-signal intermediate frequency receiver consisting of dual 14-bit, 250 MSPS ADCs and a wideband digital down converter. Designed for low cost, low power, compact size, flexibility and ease of use, this component contains six channels of a low noise preamplifier and an antialiasing filter, all integrated with a single 12-bit analogue-to-digital converter.